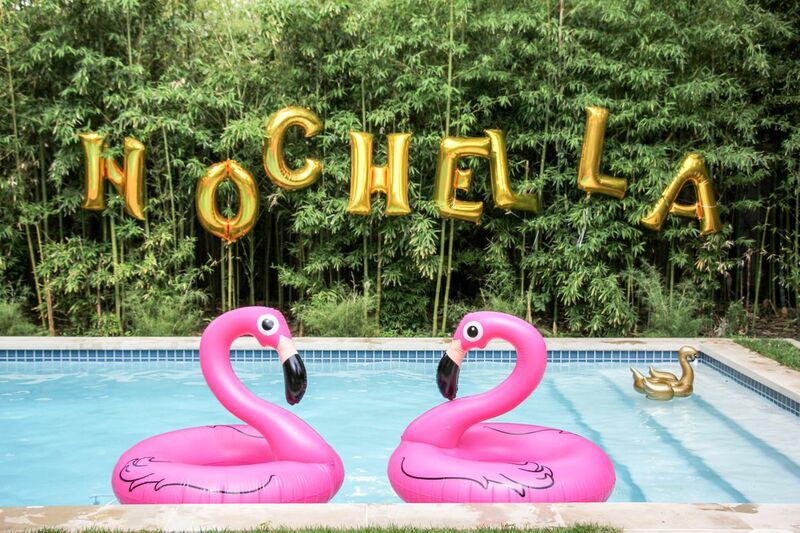 For the kick-off of festival season this year, we didn't feel like sweating in large crowds of people at a desert music festival, so we got our festival fix with Nochella, a Palm Springs-festival inspired party. 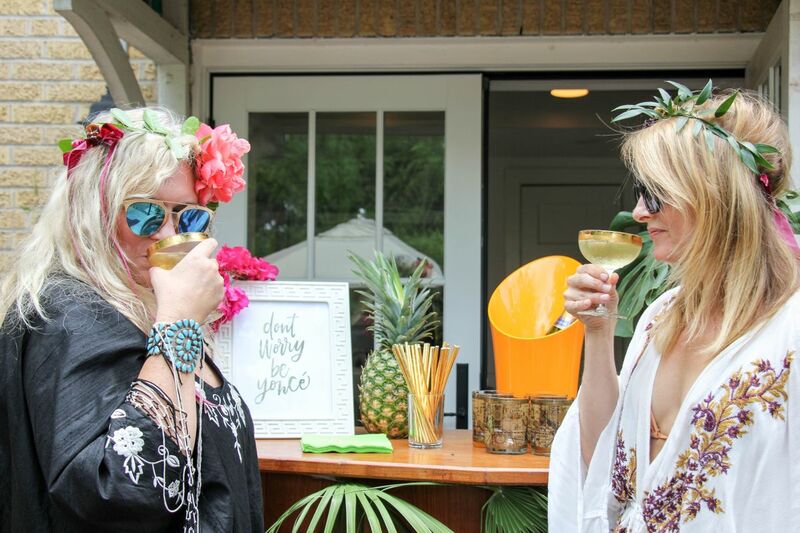 It felt so good to celebrate in a more intimate style, hanging poolside, without the long lines for the bar, and with many of our favorite fest friends. 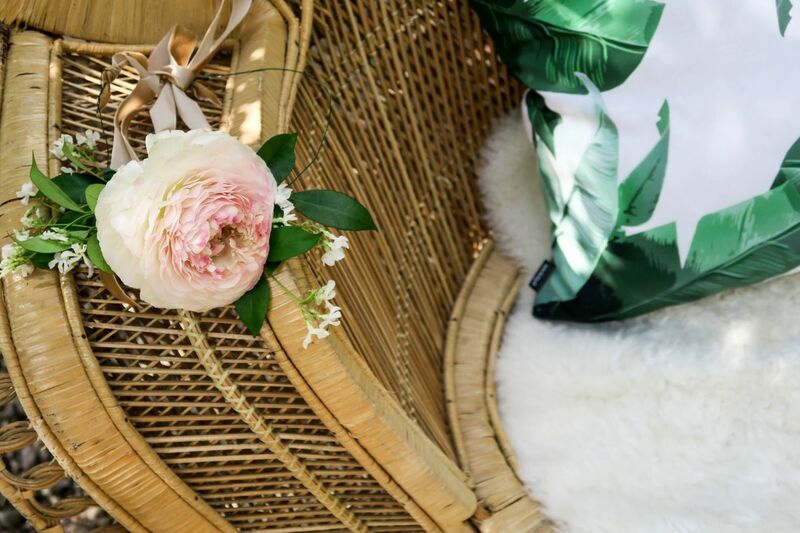 All decor and styling was provided by Panacea (of course!). 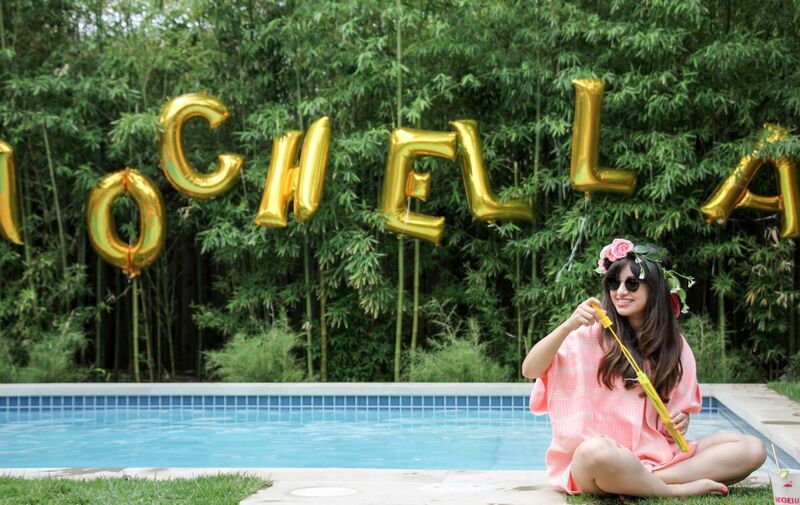 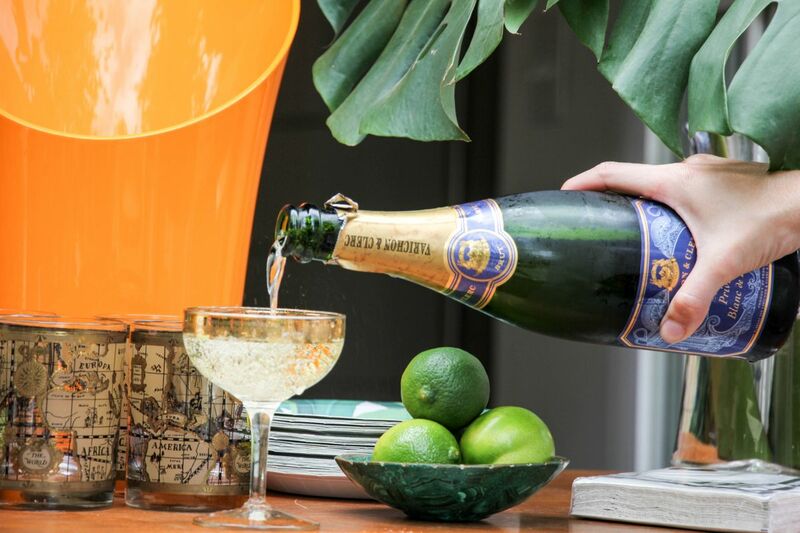 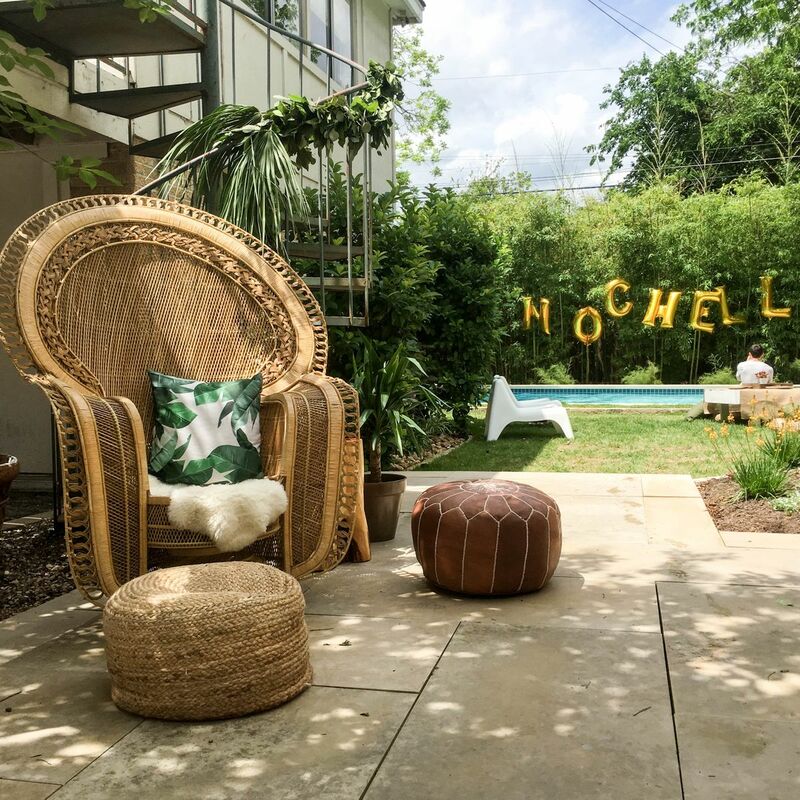 From the unforgettable gold lettered balloons spelling Nochella over the pool to the relaxed, festival-style furniture stationed throughout the yard, it was a completely dreamy afternoon. 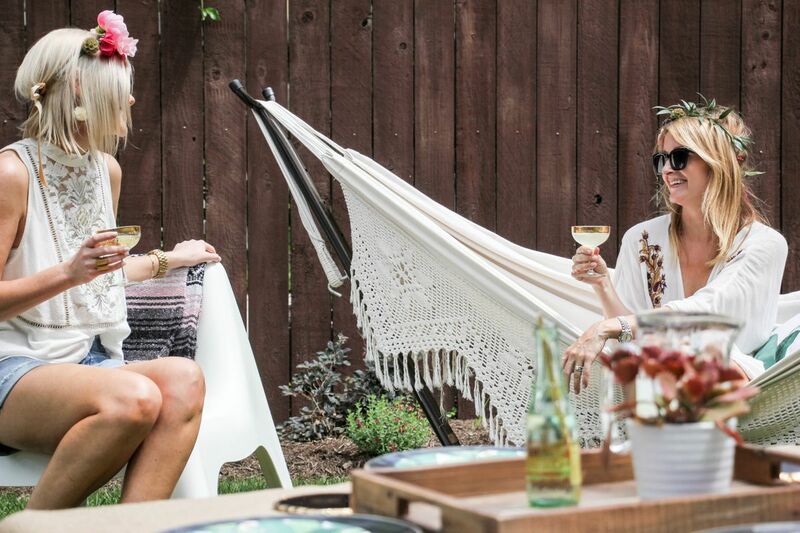 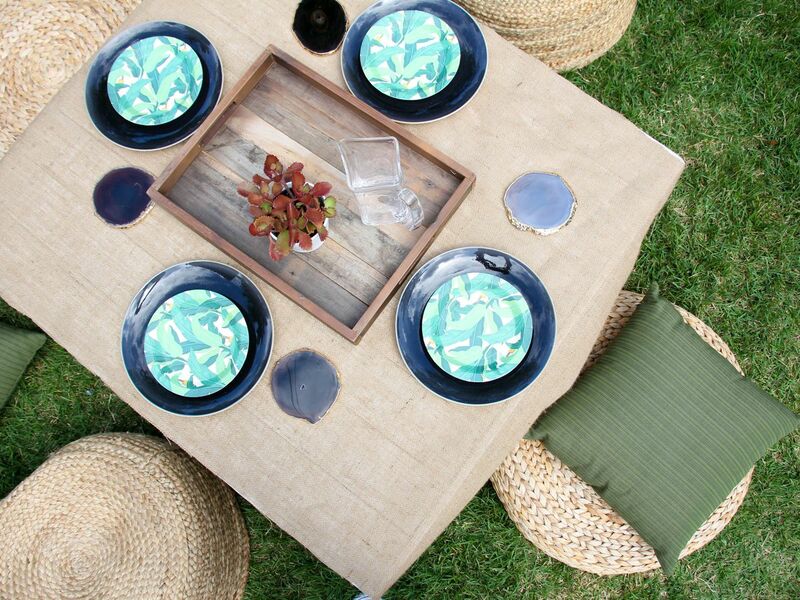 Pieces from our Lawn Lounging collection were a no-brainer for this party. 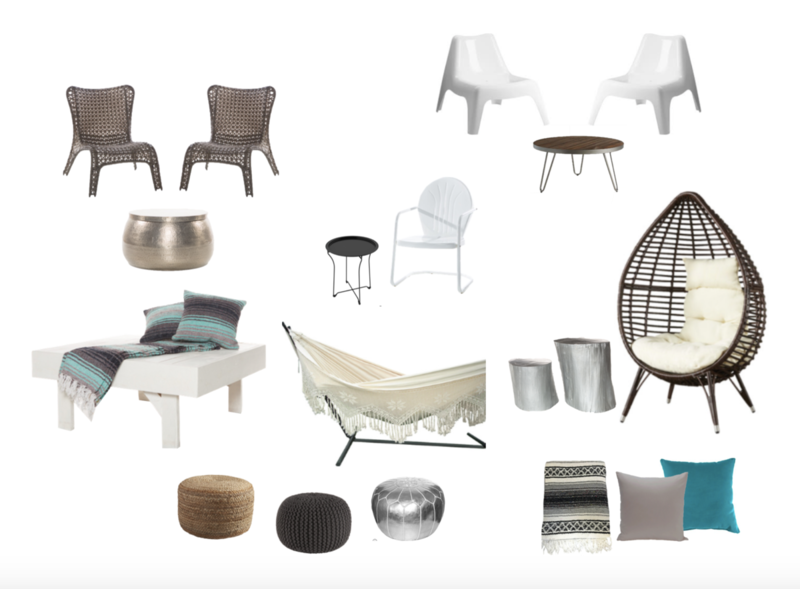 Many of these items go with us to all the music festival lounges we furnish. 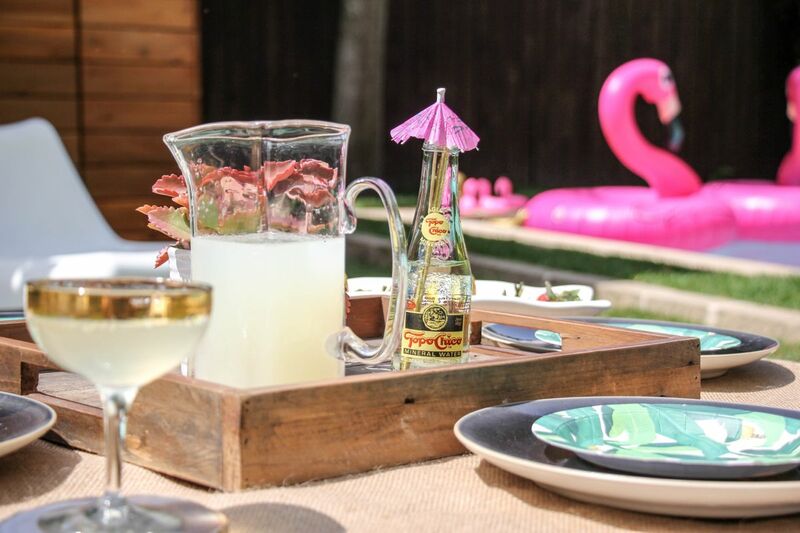 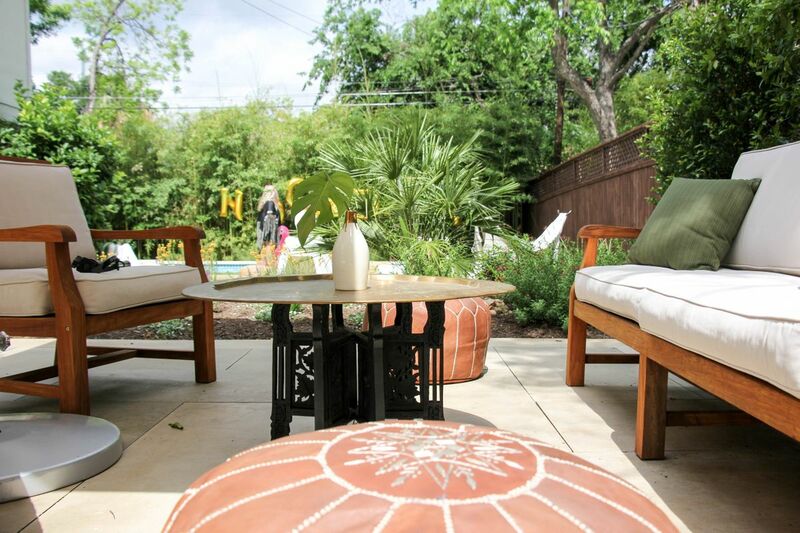 This collection provides the basics for any outdoor party in the Spring and Summer months, or year round if you live here in ATX. 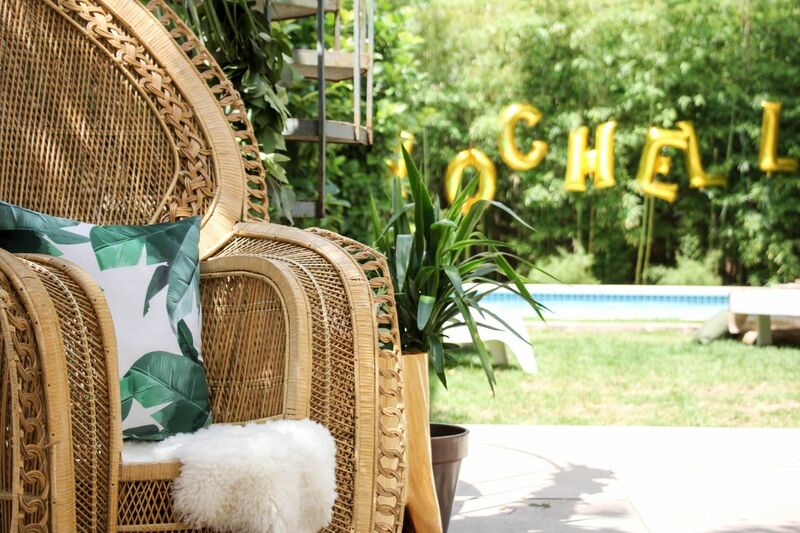 All of these pieces are versatile and can be mixed and matched with other furniture and accessories from our inventory to create a memorable and comfortable set-up. 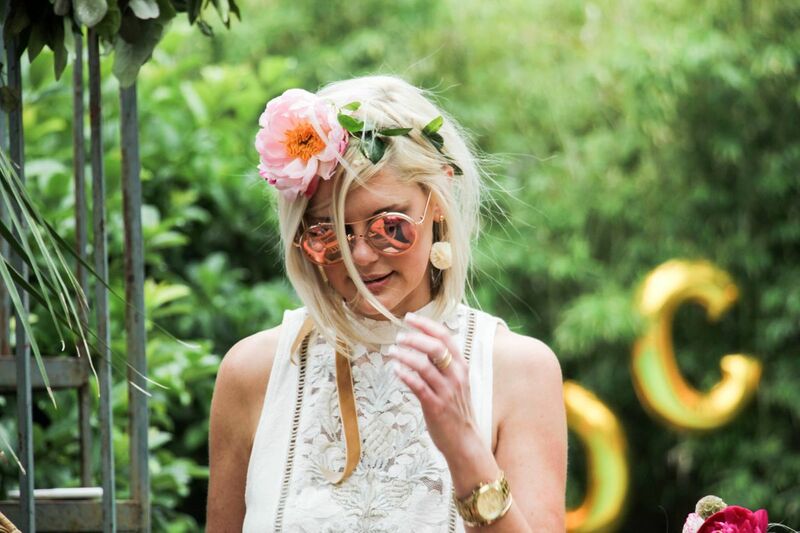 Guests were given beautiful flower crowns by Little Yellow Flower Design - an excellent party favor by the way! 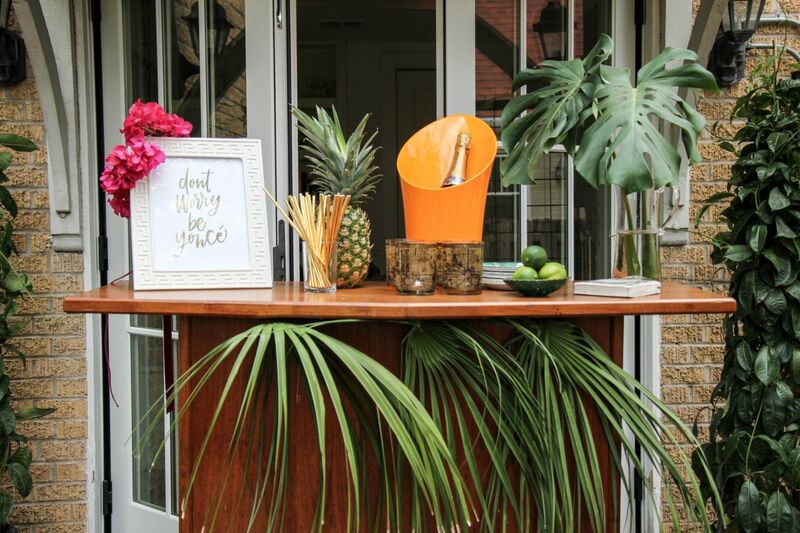 Our Draper bar hosted champagne, Frosé, fresh margaritas, and our new Don't Worry Beyoncé art by Averi with an Eye. 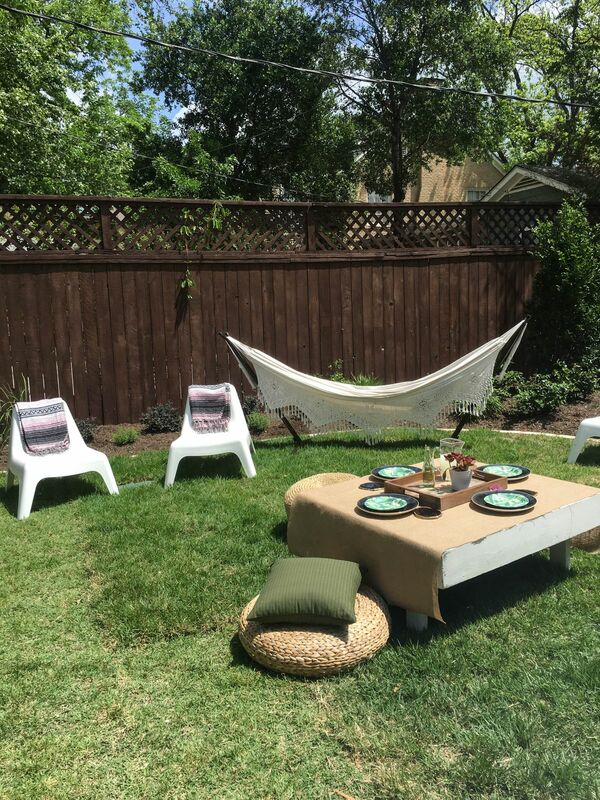 We created a cute photo vignette with our Stevie chair and used our Malmo chairs throughout the yard. 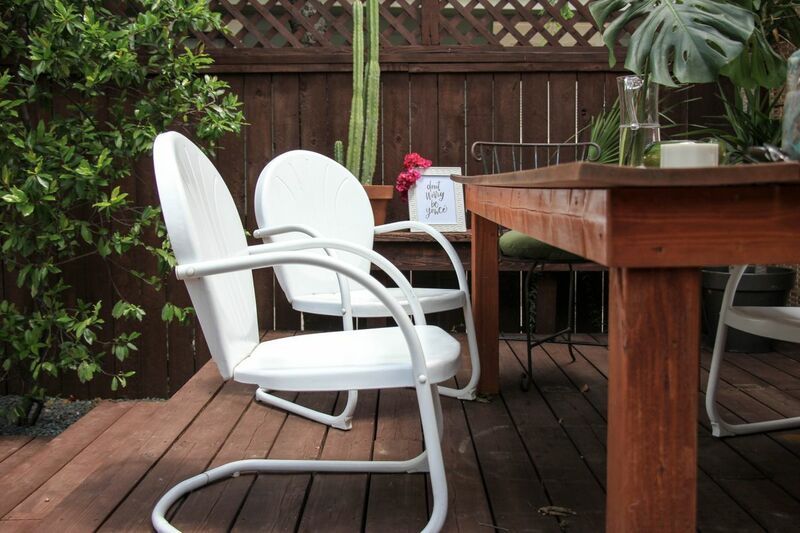 We set up a low table vignette with one of our ottoman benches and our Casablanca floor seats. 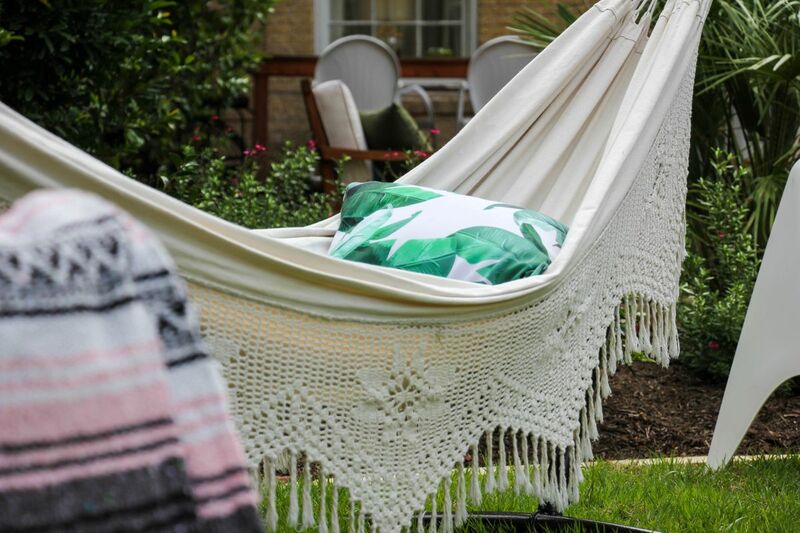 The Darcy hammock and our pink Mexican blankets completed the look. 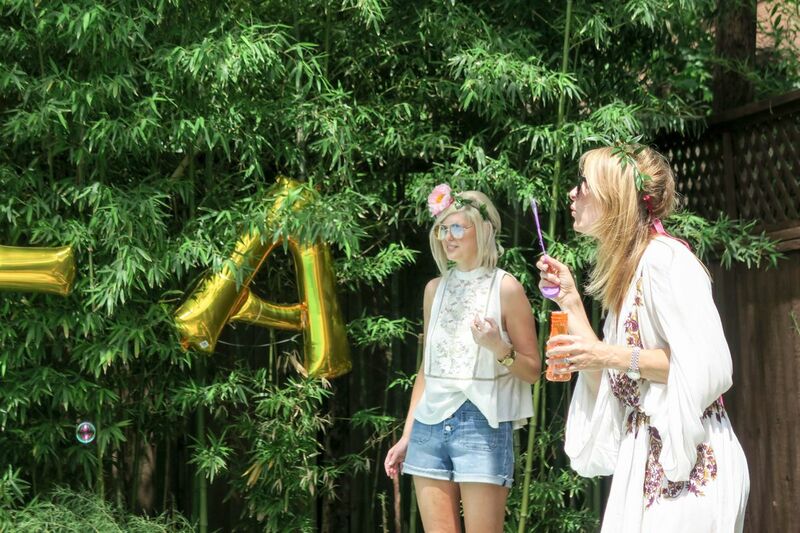 The vibes were so good, we didn't want it to end! 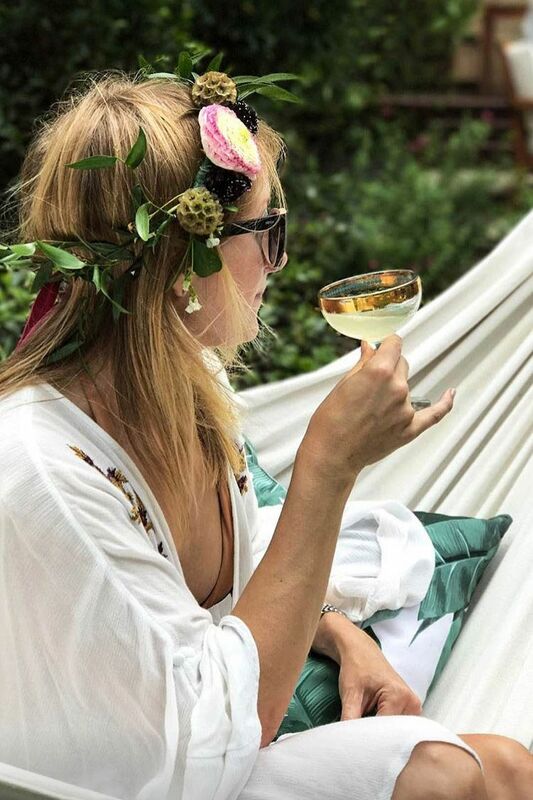 A very special thanks to Katie Taylor from Spray Paint and Chardonnay for being our model for the day, as well as helping us scout for many items in our inventory! 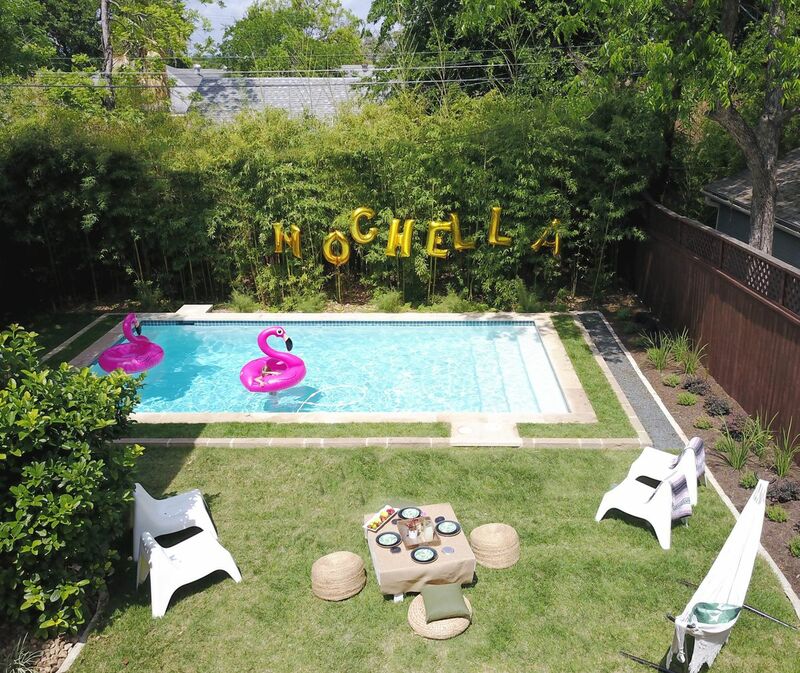 Check out the photo gallery and reach out to us to plan your upcoming summer festivities - we have you covered for any event, whether its an actual music festival or your own backyard version.